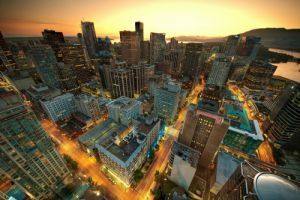 The Canadian city of Vancouver has followed such international luminaries as Sydney, Stockholm and Copenhagen in committing to run on 100 percent renewable energy. The city, which is home to 600,000 people, currently generates 32 percent of its energy from renewable sources, and has the ambition to be the greenest city in the world by 2020. The city is likely to set a target year of 2030 to 2035 to achieve its goal for electricity, heating and cooling, with the achievement of 100 percent renewably powered transport to be pushed back to between 2040 and 2050. Road traffic is predicted to be the most challenging area to reduce emissions, with fossil-fuel powered cars, trucks and buses still common. The city, however, has already taken significant steps to promote cycling and walking, and has managed to reduce the average distance driven in the city by 20 percent from 2007 levels. “Cities around the world must show continued leadership to meet the urgent challenge of climate change, and the most impactful change we can make is a shift toward 100 percent of our energy being derived from renewable sources,” said Mayor Gregor Robertson. “There’s a compelling moral imperative but also a fantastic economic case to be a green city,” added Deputy Mayor Andrea Reimer. For more information, visit the Guardian. 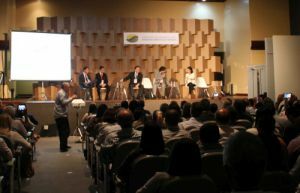 A Portuguese version of the Procura+ Manual: A Guide to Cost-Effective Sustainable Public Procurement was launched by ICLEI - South America during the third meeting of the Brazilian Municipalities for Sustainable Development, which took place in the Brazilian capital of Brasilia from 7-9 April 2015. The Manual offers a clear overview of SPP, how it can be implemented and what the costs and benefits are. It is intended to be used both by those new to the field and those who are already familiar with the main concepts, but are seeking examples of SPP in action and arguments to strengthen uptake within their organisations. The Portuguese manual has been adapted to the Brazilian context through the project “Green Public Procurement for Innovation and Green Growth”, which is funded by the Foreign and Commonwealth Office of the British Government, and coordinated by the British Embassy in Brasilia. To view the manual, download it from the Procura+ website [PDF]. In an effort to reduce the number of consumers that dispose of electronic products the moment a problem occurs, French law-makers are pushing for a new directive that would require manufacturers to label products with information on how they can be repaired. Manufacturers would need to state how long spare parts will be available, and would be required to offer free repair or replacement for the first two years after purchase. An earlier law that required the life-span of the product to be stated on the packaging was deemed to be unworkable, due to the difficulty of predicting how long a product will last. The availability of spare parts is considered a useful compromise, as it offers a telling clue as to the product’s probable life-span. 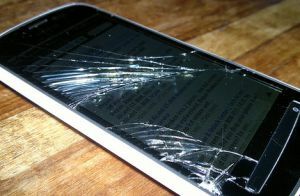 The French government has also indicated that it wishes to prohibit the practice of “planned obsolescence”, whereby companies design products that will intentionally break or become unusable after a certain period of time, in order to sell more units. 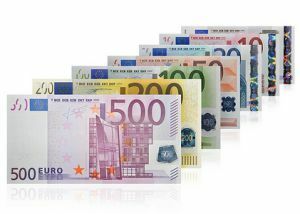 If the law is successful, those guilty of the practice could face a fine of €300,000 or up to two years in prison. How this would work in practice, however, remains to be seen. For more information, visit the Co.Exist website. 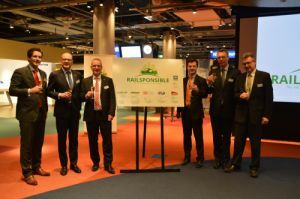 Six companies in the railway industry have come together to found "Railsponsible”, an initiative which aims to achieve a global railway industry in which suppliers adhere to ethical, social, and environmentally-friendly business practices. Launched in Utrecht (The Netherlands) in March, the initiative promotes sustainable procurement as means to improve sustainability throughout the supply chain. As part of the initiative, railway companies will use and share common procurement tools and promote best practices and processes. Founded by the Chief Procurement Officers of Deutsche Bahn, Knorr Bremse, Nederlandse Spoorwegen, Alstom Transport, Bombardier Transportation, and SNCF, Railsponsible is open to all railway operators and suppliers, along with industry associations that share its commitments. Last month saw the launch of a common supplier assessment campaign using the EcoVadis collaborative platform, a tool which allows procurers to monitor the sustainability performance of their suppliers. The initiative is facilitated by BSR, a non-profit business network and consultancy that promotes sustainability. For more information, visit the Railsponsible website. Seoul Metropolitan Government and ICLEI have joined forces to establish a Global Lead Cities Network on Sustainable Public Procurement (SPP). The aim is to create a worldwide network of leading cities that share and develop their capabilities to implement sustainable and innovation procurement, driving a transition to sustainable production and consumption. The network was launched at the ICLEI World Congress in Seoul (Republic of Korea) on 11 April 2015. 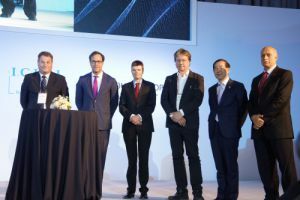 The network marks a recent growth in international interest and understanding of the importance of procurement in the fight against climate change. It has been set up to raise awareness of the benefits of sustainable and innovation procurement, and to help develop a supportive political framework. According to the United Nations Office for Project Services, an average of 15 percent of global gross domestic product is spent through public procurement systems each year, amounting to over $10 trillion. Public authority spending has real potential to change the future, achieve significant value for organisations and provide tangible benefits to the environment and the well-being of our society. Cities including Seoul (Republic of Korea), Cape Town (South Africa), Helsinki (Finland), Ghent (Belgium) and Rotterdam (The Netherlands) are amongst the founding participants. They commit to take an exemplary role globally by putting SPP into action through setting ambitious, quantified targets for its implementation, developing a clear implementation strategy and undertaking an evaluation of performance. The cities will act as global and regional champions of SPP, committing to promote and accelerate its wide-scale adoption by other cities. For more information, view the press release. The UK government has taken bold steps to help stamp out slavery, passing legislation that requires companies to report on their actions to prevent modern slavery in their supply chains. The legislation is currently at the “Royal Assent” stage, in which the Queen formally agrees to make the bill into an Act of Parliament. A consultation has been launched by the British government to determine which companies will be covered by the Act. “We welcome the passing of the Modern Slavery Act and hope it represents the first step to eradicating modern-day slavery in supply chains and to ensure this abuse comes to an end. For too long transparency in supply chains has been overlooked. We hope this new legislation will highlight the vital importance of diligent supply chain management in the UK and worldwide,” said David Noble, group CEO of CIPS, quoted in Supply Management magazine. The legislation is unique in Europe and provides additional support to the victims of slavery. It also strengthens penalties, raising jail time for serious offenders from 14 years to life in prison. “The presence of modern slavery in today’s society is an affront to the dignity and humanity of every one of us. The Modern Slavery Act 2015 is an historic milestone,” said home secretary Theresa May. 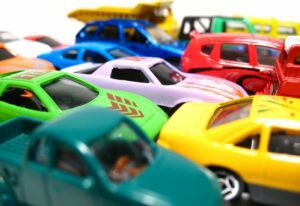 The European Commission (DG MOVE) has launched a study to evaluate the ‘Clean Vehicle Directive’ or CVD, a piece of legislation which requires that energy and environmental impacts linked to the operation of vehicles over their whole lifetime be taken into account when purchasing cars and other road vehicles. The evaluation aims to provide a clear, evidence-based assessment of the impacts of the Directive as it currently stands, and determine whether the Directive is the most effective and appropriate choice to achieve EU-wide objectives. The Clean Fleets project is supporting Ricardo-AEA and TEPR who have been contracted to carry out this evaluation on behalf of the Commission. Through an online survey, they are engaging with public organisations who have procured road transport vehicles since the start of 2012. Interested parties are invited to share their views by completing the survey, which will be online until Friday, 24 April 2015. The survey is available in six languages: English, French, German, Hungarian, Italian and Spanish. Questions about the survey can be sent to CVD@ricardo-aea.com. For more information, visit the Clean Fleets website. Two new financial instruments to drive investment in energy efficiency, preservation of natural capital and adaptation to climate change have been launched by the European Commission and the European Investment Bank. The EC's contribution to the Natural Capital Financing Facility (NCFF) and the Private Finance for Energy Efficiency (PF4EE) instruments will come through the LIFE programme. The European Commissioner for Climate Action and Energy, Miguel Arias Cañete, said: "With these new financial instruments, we are putting the money where it matters. This is a contribution to protecting the climate, saving energy for our citizens and making Europe less dependent on imported energy." The NCFF instrument supports projects that help to preserve Member States' natural capital, such as naturally occurring elements that offer protection and services (e.g. protection against flooding), through loans and equity investments. The Commission and the EIB are keen to attract private sector funding to bolster the funds provided. The instrument's beneficiaries may include both public and private entities, such as public authorities, land owners and businesses. Project sizes are generally expected to be between €5 and €15 million, with 9 to 12 operations set to be financed during the pilot stage. For more information, visit the Europa website. 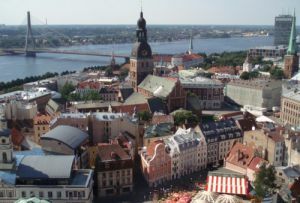 Public procurers are invited to take part in a one day seminar taking place 21 May in Riga (Lativa) that will offer insight into good practices, and see discussion on methods to overcome obstacles while driving low-carbon public purchases for supplies, works and services. The seminar will also showcase the results of two projects focused on green public procurement: PRIMES and GPP2020. The aim of the workshop is to show how public procurement interventions can be used as a strategic tool to mitigate climate change; participants will be give information on how to best calculate carbon and energy savings, while support structures from across Europe will be presented. ICLEI Europe’s Philipp Tepper will lead the workshop, with speakers including Leendert van Geldermalsen of Rijkswaterstraat, The Netherlands, and Lidia Capparelli of CONSIP, Italy. The event is organised by the Latvian Environmental Investment Fund and the GPP 2020 and PRIMES projects. Participation in the event is free of charge, but early registration is required to reserve your seat. Register online at bit.ly/gpp_riga - registration closes 7 May 2015.